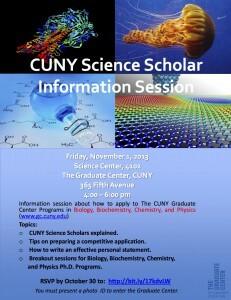 The CUNY Graduate Center is hosting an Information Session for prospective applicants to the Science doctoral programs at CUNY. Join the session on Friday, November 1st in the Science Center, Room 4102 at the CUNY Graduate Center, 4:00-6:00pm if you’re interested in learning more about applying to graduate school in the sciences. RSVP by October 30th. The Mount Desert Island Biological Laboratory has established programs for undergraduate education to enhance scientific training in the biological sciences. Through courses, fellowships, and enrichment activities, MDIBL excels in training undergraduate students considering careers in research or medicine. MDIBL is a highly collaborative, collegial, and informal research environment, where students and scientists design and conduct experiments together and may discuss their results on a bench overlooking Frenchman Bay or over a meal in the dining hall. MDIBL has a extensive program of year-round, hands-on, research intensive short courses, workshops and symposia for undergraduate students. Most courses are closed-enrollment and only offered to students from the sending institutions. All MDIBL Courses and Conferences are listed on this website. Each summer, over 30 undergraduates from Maine and across the United States participate in research fellowships at MDIBL. Undergraduate fellows work in the laboratory of an MDIBL investigator on an independent project designed by the student and their mentor. Laboratory training can include techniques in molecular biology, physiology, and bioinformatics. Projects are wide-ranging and could include the comparative study of a laboratory animal (zebrafish, roundworm, sea urchin, etc. ), cultured cells, and biological tissue preparations. While most projects are laboratory-based, some include a field component. In pursuing their independent research project, students attend weekly seminars given by MDIBL scientists and invited speakers from other institutions discussing a variety of topics in the biological and environmental sciences. Undergraduate research fellowships are 8 – 10 weeks long, from early June to mid August. In 2014, most students will arrive on Monday, June 2 and will depart on Friday, August 8. Students may select a summer research mentor from among the Lab’sresident or visiting faculty whose research matches their personal scientific interests and career goals. Students applying to the Maine INBRE undergraduate program may select a mentor from MDIBL or one one of several Maine INBRE partner institutions. Weekends are typically free and students enjoy recreational activities including hiking in Acadia National Park, swimming in Acadia’s pristine ponds, biking, running, sand pit volleyball, soccer, Ultimate Frisbee, kayaking, or just relaxing on the Lab dock. Summer Research Fellowship applications are generally accepted in late fall, with an application deadline in early January. 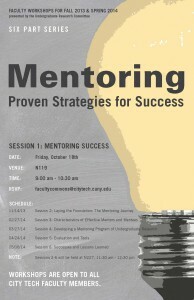 Most fellowships cover all expenses (room, board, travel) and pay a weekly stipend. In addition to their research, URP students attend a series of seminars and special events designed specifically for them. At the URP Symposium, held at the end of each summer, students present a summary of their research to the entire CSHL community. Each participant also writes a scientific abstract, and a final report to describe his or her project. URP students are encouraged to attend advanced postdoctoral courses at CSHL, organized by leading scientists from around the world. In these courses, undergraduate students have an unparalleled opportunity to learn the latest experimental techniques in different fields and to seek advice about their future paths. Program participants live, work, eat, and play among CSHL scientists. They are invited to all Laboratory social activities, attend a Broadway play, explore many of the tourist attractions in New York City, have pool parties, visit the lovely beaches of Long Island, and generally enjoy a marvelous—and very busy—summer. By the end of the program, they are well-equipped to decide whether scientific research is a career they would like to pursue.